Your immune system is designed to protect your health, so what happens when it turns on itself? An autoimmune disease develops when the body mistakenly attacks healthy cells, resulting in several troublesome symptoms. To get the care you need to heal fully, visit Integrative Medical NY in New York City. The practice offers personalized and attentive functional, holistic, and integrative treatments for autoimmune conditions and other chronic diseases. Book a consultation online or call the office to learn more. An autoimmune disease develops when the body mistakenly attacks its healthy tissue or cells. This happens for various reasons, but it’s not entirely understood. Your body fires up an immune response, which naturally happens when it perceives a threat like a virus or an infection, except there’s no threat. As a result, your immune system is in overdrive and creates the conditions for chronic illness, such as inflammation, hormonal imbalance, or gastrointestinal malfunction. Symptoms of autoimmune disease vary, depending on the specific condition. For example, sufferers of celiac disease often experience gastrointestinal disturbances while people with rheumatoid arthritis have joint pain. A problematic factor is that symptoms of autoimmune diseases are often vague, or they’re misdiagnosed. How is autoimmune disease treated? There usually isn’t a single test for diagnosing an autoimmune disease. Your provider looks at various factors and may use multiple diagnostic tools. While immune-suppressing drugs are often the first line of treatment for autoimmune conditions, multiple alternatives can produce effective results. Autoimmune diseases can develop slowly over the course of several months or years, so healing is never immediate. Often, however, simple changes to your diet, high-potency supplements or IV nutritional therapy, and lifestyle modifications can offer quick symptom relief. Healing requires a commitment to understanding the body’s signals and a dedication to nourishing and supporting it. 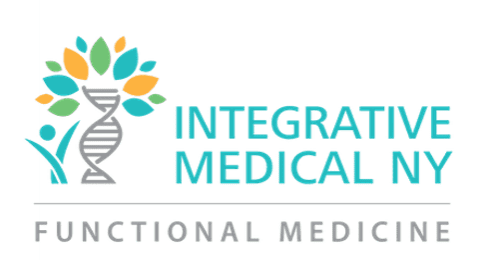 At Integrative Medical NY, the team helps educate and empower each person to take charge of their health. If you’re experiencing symptoms of autoimmune disease, call the office to speak with a team member or book a personalized consultation online.